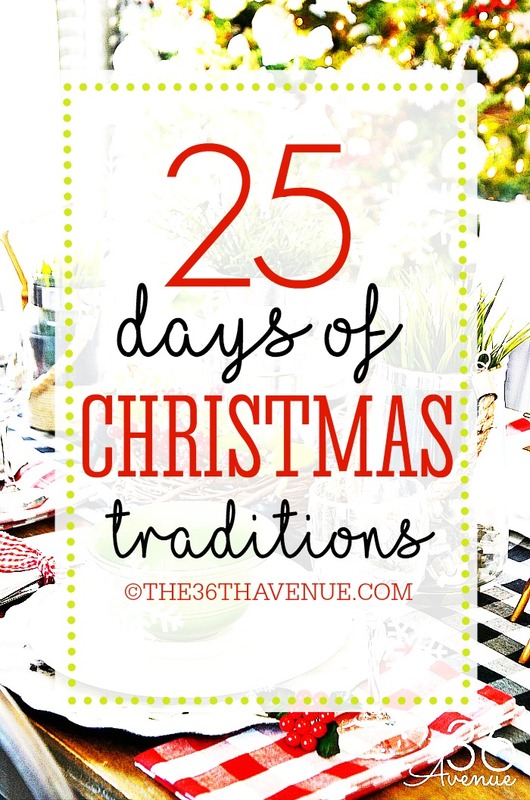 Today I’m sharing my favorite 25 Christmas Traditions!Some of my most precious childhood memories came from Christmas time. Even though we didn’t have much while growing up I knew we had each other and that was the only thing that really mattered. Christmas was a magical time, was a family time, was a time to be grateful for the special joy that comes from loving those around you and creating memories with them. Now that I have my own family I feel so blessed to keep some old traditions alive and we are excited to create some new ones every year together. The day you put your Christmas Tree up sleep under it. We put ours on Thanksgiving Day and we look forward to our sleep over every year. When you have your Christmas dinner add an extra plate to the table. 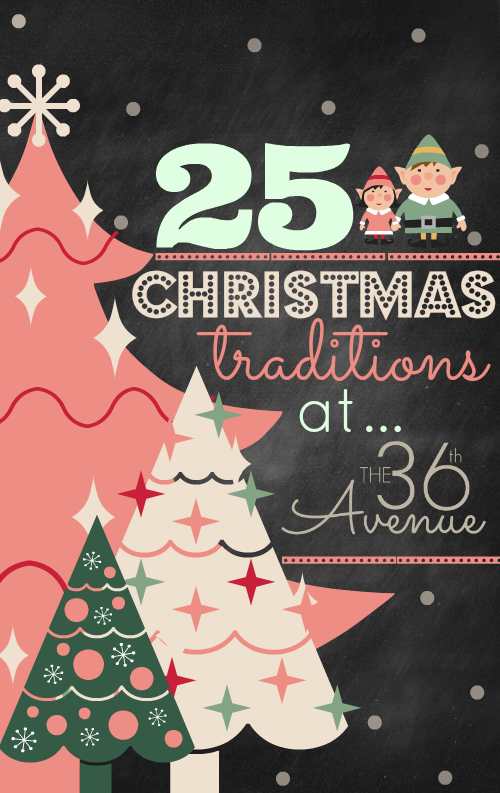 We do this every year and it has taught our children that there is always room for someone in need at our Inn. We live in an area of pretty warm weather. Instead of a snow ball fight we had a flour fight every year. Turn some Christmas music on, go outside, and get messy! Every night read a scripture by candle light. 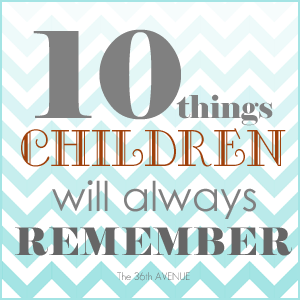 If you need ideas follow along with this list. a Santa beard on their face… This is so much fun! Don’t forget to take pictures!!! and sing it to the neighbors when you bring them treats. Don’t just write a letter to Santa, this year also write a letter to Jesus as a gift for his birth. Put the letter inside of a balloon with helium and let it go up to heaven! On Christmas Eve turn off all the light for a minute before the children go to bed. Place candles all over the house and start saying in your own words the Christmas Story. As you travel from room to room light up one candle. 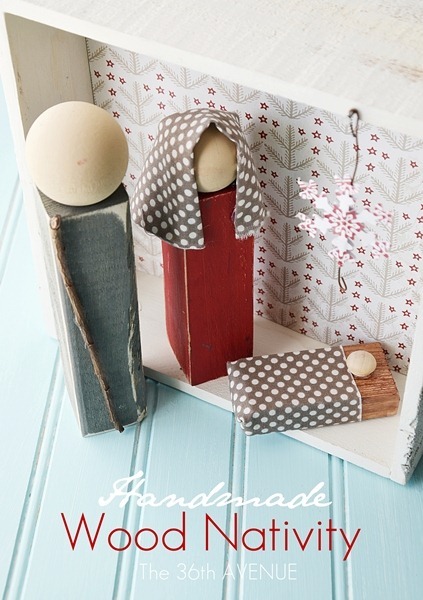 Make a DIY Wood Nativity and have the youngest child put baby Jesus on it on Christmas Eve. You can find the tutorial for this Nativity here. makes the family focus more on the reason of the Season. that that’s the day when Baby Jesus was born. put them inside of a jar. Everyday pull one out and do it as a family. One of our favorites is to take turns to run around our coldesac with our Christmas hats on. Have a Christmas Movie Night! 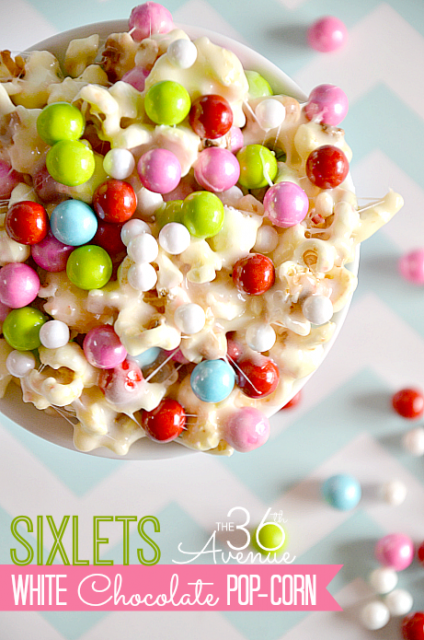 You should make this delicious White Chocolate Christmas Popcorn instead of regular popcorn. Put all your family names is a jar and have every member pull a name. Pick a day where everyone does a secret service for the person they picked. Have a craft night when every member os the family makes a new ornament for the tree. One night have a picnic by the Christmas Tree. Eat finger foods on the floor with Christmas music playing in the background. Have a night when your family can talk about 25 Miracles that Jesus did. Every year buy a new Chrsitmas Book. Read it as a family… You will have a wonderful collection over the years. Try a new Christmas Recipe! Type an annonymos note and drop it off in your neighbors mailbox. Pick a night to make handmade gifts for each other. Paint a red ball and hide it. The person that finds it gets a prize and gets to hide it for the next day! Have a Pizza Christmas Night. Create a pizza in the shape of a christmas tree and use the condiments as ornaments. Turn off all the lights but the Christmas Tree. Make a fire in your back yard and roast marshmallows. Children can dress up using sheets and towels as Mary, Joseph, shepherds, and the wise men. during this gorgeous Christmas Season. I absolutely love this post. THank you for sharing some wonderful and unique ideas! Love your ideas! It would be great in a printable version for a advent. Thank you for sharing such wonderful suggestions. It was really cool to have so many traditions with Christ as the focus. Thank you, and have a Blessed Christmas. I have really enjoyed the bible verses by candle light, Thank You & Merry Christmas!